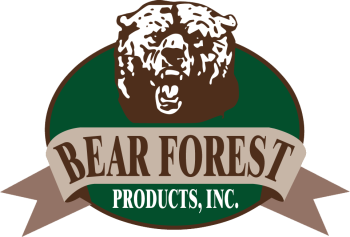 Bear Forest Products is a family owned, Riverside, CA based wholesale distributor of building materials for the Southern California, Nevada, Arizona and Baja California markets. Lumber Dealers, Home Centers, Crating and Packaging, Cabinets, Furniture, RV's, Mobile Offices and Classrooms. Bear Forest Products also serves the broader US and International markets through direct truck and carload sales and the use of public warehouses. Bear Forest Products is customer focused and works constantly to provide the innovative and creative solutions our customers demand. Bear Forest Products was founded in 1985 by Linda and Barry Schneider. Their concept was to run an efficient, responsive, and customer driven operation offering the best possible prices supported by exemplary customer service. From that business plan, Bear Forest Products has grown to a full line building materials distributor serving the lumber dealer, industrial, and factory built housing, classroom, and RV markets. Today Bear Forest Products ships over 20 trucks per day through out Southern California. We invite you to contact us and become an invaluable member of the Bear Forest Products family. Please take a moment to view our website and become more familiar with what we have to offer.